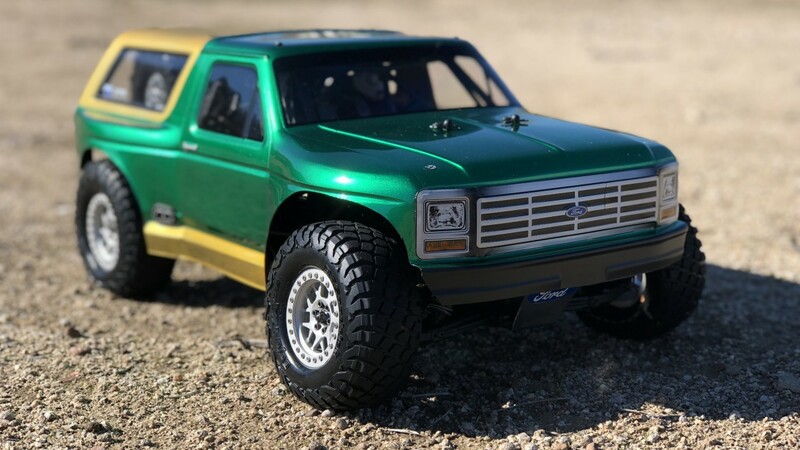 So this is a build I finished back in December and it uses all Pro-Line parts (body and tires) and has been a hit every time I post about it due to being pretty unique. 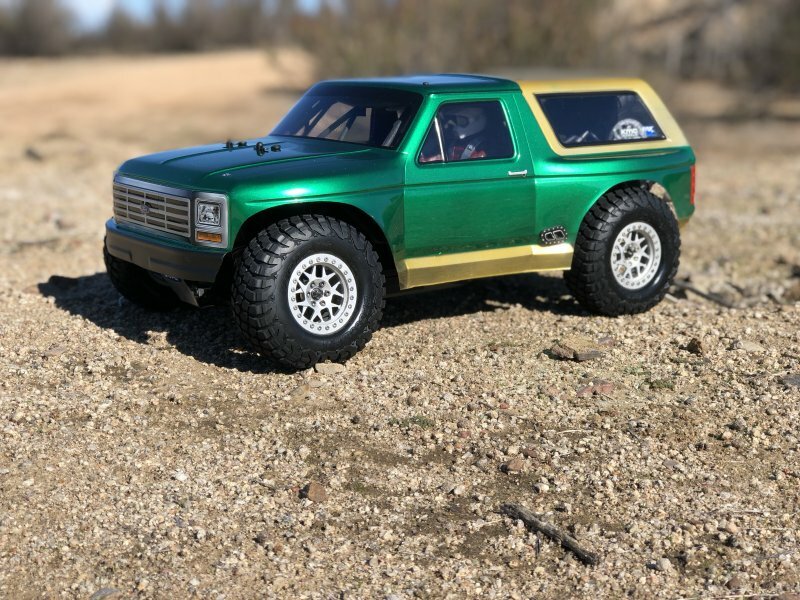 I used an Axial Yeti Rock Racer and shortened the wheelbase to fit within the Pro-Line Bronco made for short course trucks. My goal was to make a Bronco pre-runner with an Eddie Bauer paint scheme that was period-correct for this year of Broncos. The specs are below!